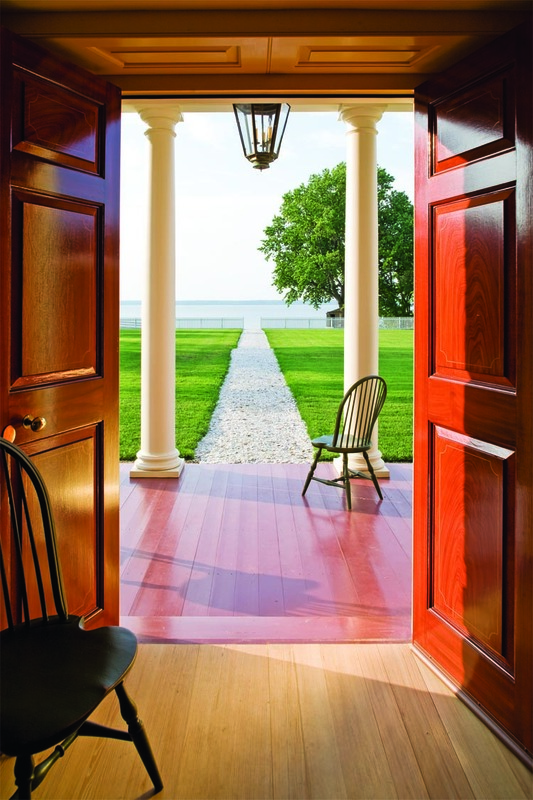 One of the favorite lounging areas for the Schorsches is the porch facing the James River. Off to the right can often be seen the Jamestown-Scotland ferry and the lights from historic Jamestown. An elaborate tree house can be seen beyond the gate. 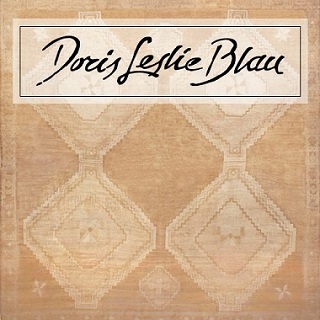 “We bought it on the spot,” recalls Shelley Schorsch of the decision she and her husband, Nick, made when they first rode up the country lane to Mount Pleasant in Surry County, Virginia. It seemed like a lightning decision, but there was a long search and shared vision behind it that would not surprise anyone who knew them. “We wanted land, water, and an old house to restore,” she recalls. Eight years later the result is a careful restoration of an important James River plantation; perhaps the most ambitious private effort in Virginia in recent decades. The 400-acre estate includes one of the earliest English settlements in Virginia (circa 1620). But it is the history of the eighteenth- century mansion and plantation, both known as Mount Pleasant, that proved to be the most compelling for the Schorsches. 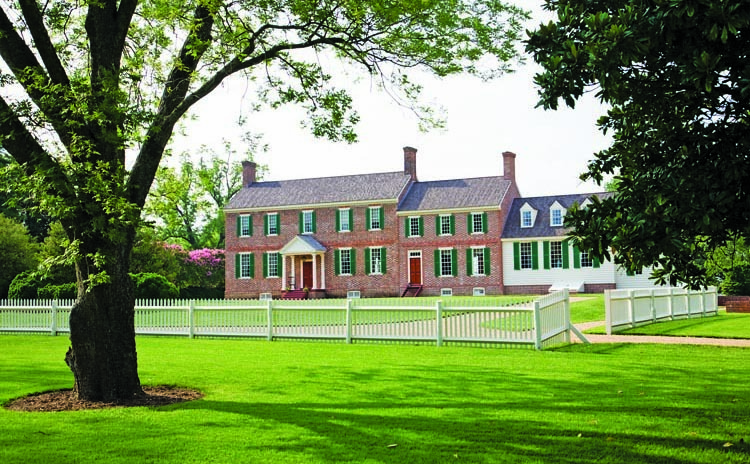 The quantity and quality of historic evidence relating to the period of ownership under General John Hartwell Cocke II (1780-1866) was most plentiful and has allowed for an accurate restoration of the mansion and grounds, even rivaling its peers across the James River in documented history, archaeological resources, and authentic natural setting. Upon turning twenty-one in 1801, Cocke inherited the brick mansion from his father and married Ann Blaus Barraud, of Norfolk, Virginia. 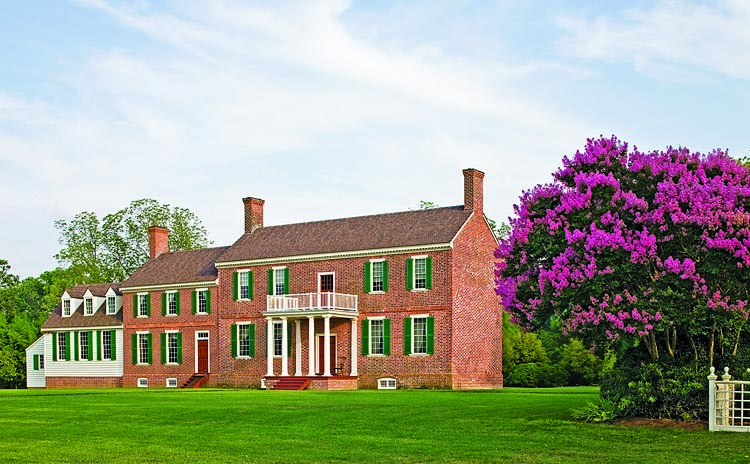 With the goal of finishing by Christmas 1803, he began a serious remodeling effort that resulted in a two-story, five-bay, Federal brick mansion, with a three-bay, two-story brick wing. Luckily, the work was recorded in Isaac Lever’s carpentry bill, which was used as a guide for the present restoration. In addition, family inventories, lists of linen and china, and a cabinetmaker’s bill provided a basis for the furnishing scheme. View of Mount Pleasant from the James River showing the columned porch, with its period leaded roof and wooden balustrade. The brick wing contains the family dining room, while the framed wing is a complementary modern kitchen and mudroom. One of the couple’s next projects is to recreate the historic gardens. John Hartwell Cocke II (1780–1866) paid careful attention to the views his visitor would see on approaching the mansion. Wheel ruts and pea gravel found during archaeological investigations established where paths lead and defined the outline of a D-shaped drive leading to the front door. The existence of a surrounding fence was discovered during extensive archaeology work. A tall case clock, circa 1760, inscribed “Thomas Wagstaff, London” on the brass dial, with spandrels on the corner and half globe shapes, tells the day of the month and phases of the moon. The walnut case has been attributed to the Philadelphia shop of William Savery (1721–1787). When Nick and Shelley first saw the Cocke mansion, it appeared as a venerable, whitewashed brick Georgian structure with flanking wings. Much of this, however, was the result of the 1949 lovingly executed Colonial Revival vision of Franz and Elizabeth Von Schilling. But if Shelley and Nick were “to do it right,” and follow the documentation wherever it led them, the focus inevitably pointed to the John Hartwell Cocke period, and that meant a major restoration. Nick recalls their early innocence. “We didn’t know the roof line was off a bit, the wing had the wrong bricks, the windows were in the wrong place, [and] the doors were the wrong size.” And since the house interior was remodeled around 1850, burnt in 1898, rebuilt in 1902, and remodeled again in 1949, a lot of architectural archaeology was required to fill in the details. The couple learned from the way other famous Virginia historic estates were restored, such as Shirley, Berkeley, Westover, and Carter’s Grove, but also Kykuit, the New York home of John D. Rockefeller. One lesson was to focus first on the estate as a complete entity. A master plan was developed with Carlton Abbott’s Williamsburg, Virginia, architectural team, which included improvement to road systems and drainage, identification of building sites, and functional divisions of the terrain. Research was also key. Thorough documentary research by Martha McCartney and extensive archaeological excavations by Nick Luccketti’s James River Institute of Archaeology provided solid evidence for the restoration. The excavators discovered a Cocke period kitchen foundation plus an even earlier storehouse under that, as well as a brick smokehouse, well, slave log house, barn foundations, garden terraces and beds, fence lines, drives, paths and many thousands of artifacts. Just as impressive were the remains of earlier landscapes, beginning with the original fortified settlement of Paces Paines to mid-seventeenth-century slave quarters and other early house sites all pre-dating the Cocke mansion. True to Nick and Shelley’s aims, a twentieth-century wing was demolished, a nearby house moved, and all Cocke period features are being recreated and protected. The celestial (1799) and terrestrial (1815) globes in the alcoves were made in London by J. W. Cary. 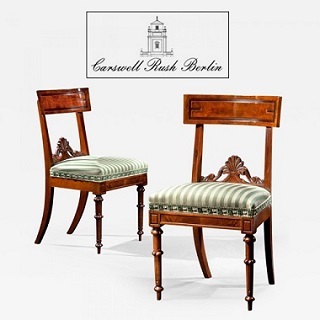 The circa-1830 Campeche armchair’s elegant lines and comfortable form is a favorite of Nick Schorsch’s. Mahogany shield-back chairs have a Greek krater in the center and bell-flower garlands, and are part of a circa-1810 Rhode Island set. The needlework embroidery, titled Queen Esther, is silk-on-silk with silver thread against a watercolor background. The scene portrays an Old Testament theme on the virtuous Esther standing up to King Ahasueras. The black painted surround is titled, A. C. Hotz, Queen Esther, 1820. The circa-1780 Pennsylvania mahogany desk and bookcase was once in the ownership of the Dinker family, Eastern Shore, Maryland. The broken-pitch pediment has an applied Greek key fret, oval fret, and applied guilloche fretwork on the corners of both top and bottom, while gadroon molding is applied to the front edge of the right door. Perhaps the greatest challenge was blending the high standards of restoration with making a comfortable home for the Schorsches and their children. 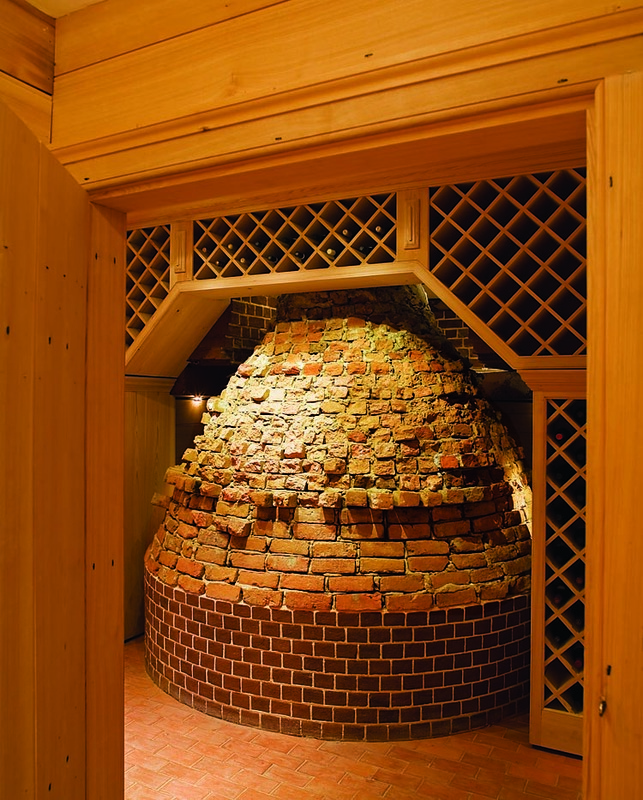 A key decision was to enlarge the cellar to house state-of-the-art geothermal heating and cooling equipment that delivers museum quality environmental control individually to each room. 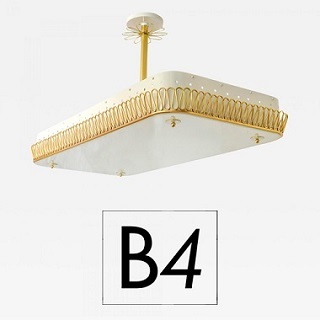 Lighting is achieved by custom, ceiling mounted fiber optics that project a candlelight ambience. Ultraviolet and visible daytime light damage is prevented by UV filters on the windowpanes, as well as seasonally installed Lexan panels and external shutters. Unwilling to give up the atmosphere that real fire in the hearth provides or the benefits of fire protection, Nick added a European-style mist suppression system, while the smoke detection system relies on air sampled through a hole in the ceiling of each room too small to notice. The cellar also contains a family entertainment room, offices, and a large museum gallery. When it came to restoration of the interiors and outfitting the house, their decision to follow the Cocke period was quite a transition. 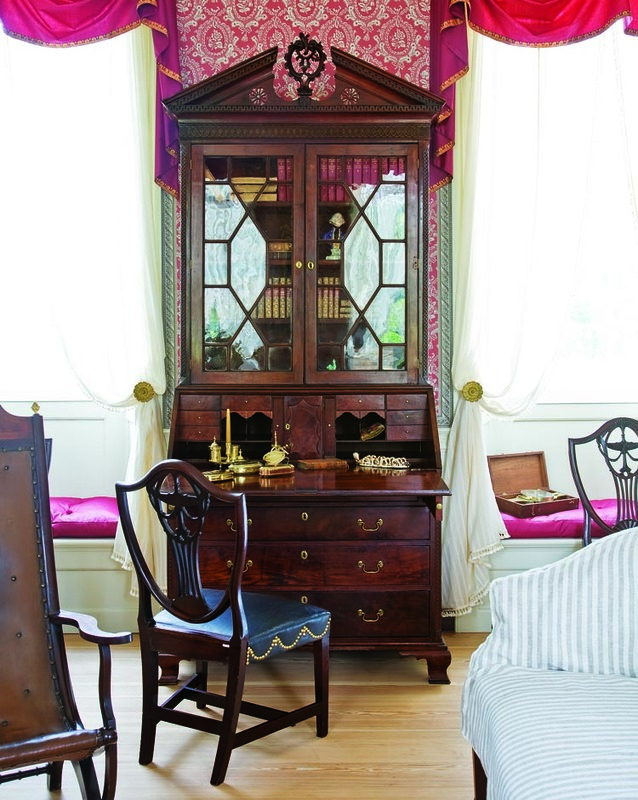 The couple’s collecting instinct had been guided by Nick’s parents, Irvin and Anita, who favored colonial furnishings. 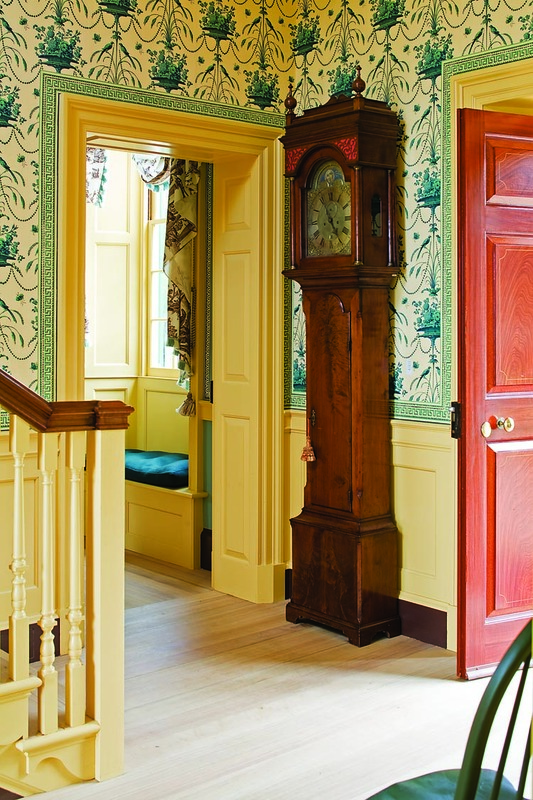 Nick and Shelley’s Huntington Valley, Pennsylvania, home is a Colonial Revival residence filled with period room settings of eighteenth-century American furniture and decorative arts. Mount Pleasant, on the other hand, is much more focused on the period after the Revolution. 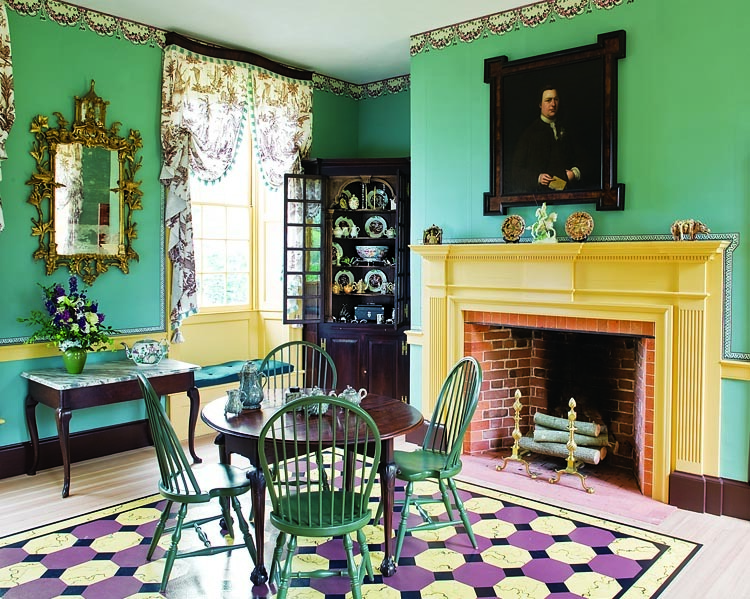 Shelley remembers, “We were being thrown this curve ball…this is really an 1800-1810 furnished house.” Nick adds, “[In this period] The country is starting to develop its own style. It’s a huge difference in terms of the appearance of decorative arts.” As such, the best examples of the couple’s painted folk furniture, Pennsylvania fraktur, American samplers, and Queen Anne and Chippendale furniture not appropriate for the period rooms of Mount Pleasant will be displayed in the museum gallery in the cellar. Detail of the Mantel. The woodwork is based on architectural evidence. 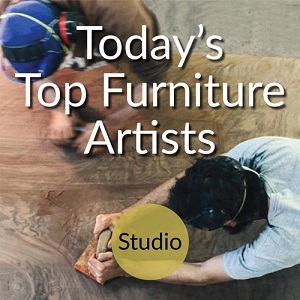 The pianoforte has holly, satinwood, ebony, and mahogany stringing. Its satinwood panel is inscribed in script: “Johannes Broadwood London Fecit 1793 Patent Great Pulteney Street Golden Square.” The circa-1810 needlework embroidery with silk threads, watercolor background, and gilt under glass, is titled The Parting of Hector and Andromache. It is a fine example of a classical themed scene linked to the Folwell School, Philadelphia. The Staffordshire walking-lion creamware, with brown underglaze, is a circa-1800 Ralph Wood type. The circa-1760 portrait of Button Gwinnett by Nathaniel Hone (1718–1784) is the only known life portrait of this signer of the Declaration of Independence from Georgia. The corner cupboard is walnut and pine, from Eastern Virginia, circa 1770. 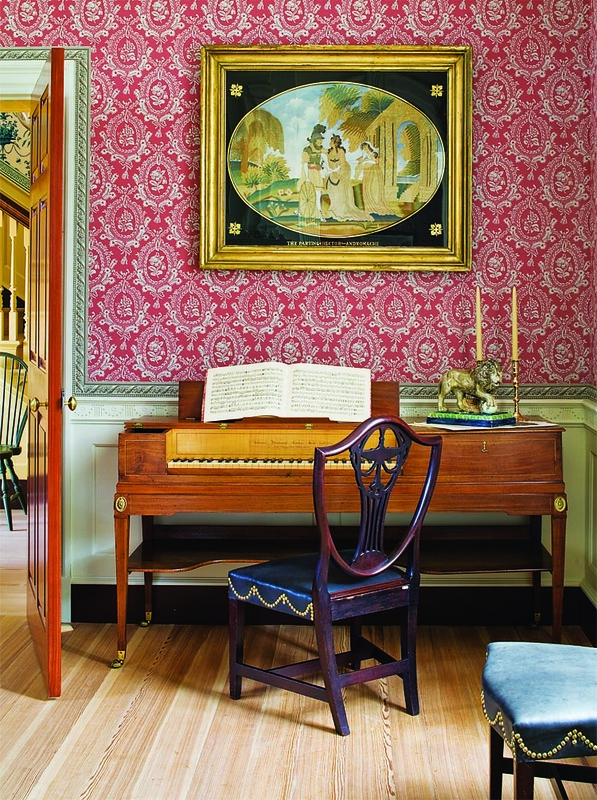 Solid color wallpaper, blue with festoon border (reproduced by Adelphia Wallpapers), was referenced from the portrait of Eleazer Tyng, by Copley, and papers documented for Monticello and Kenmore. 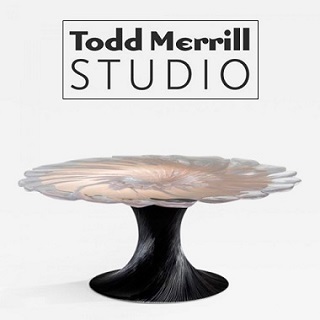 The side table is marble, mahogany, and red oak, from Virginia, circa 1750. The window treatments are arranged on pulleys like those in the Miles Brewton House, Charleston. 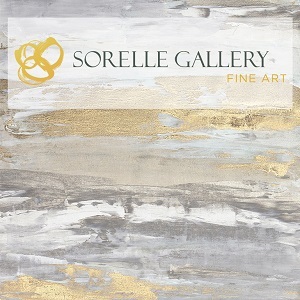 S.C., and are dressed with French copperplate toile of custom silk and wool block fringe. Most of the window materials were custom made for Mount Pleasant in English mills including Context Weavers, Lancashire. 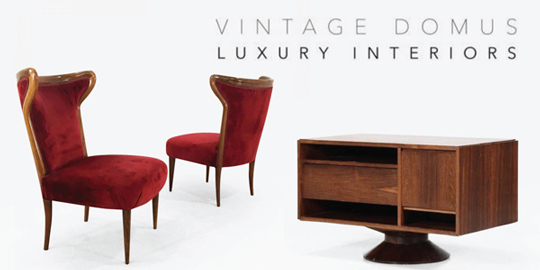 Each leg of the circa-1800 Virginia sideboard, made of mahogany and cherry with boxwood and maple veneers, has stylized inlay of a shell, intertwined guilloche, bellflower, icicle, and cuff, and the doors have a prominent inlaid urn within an oval. The pair of English mahogany knife boxes, with serpentine shaped front, silver shield escutcheons, and an eight-pointed inlaid star inside the inner lid, are believed to have been given by Thomas Jefferson to John Hartwell Cocke II, about 1800. A Map of the Most Inhabited Part of Virginia, drawn by Joshua Frye and Peter Jefferson, was engraved by Robert Sayer and Thomas Jefferys, London, 1775. The silver set was made by W. G. Forbes, New York, 1795–1802, and the hot water urn is English Sheffield plate, circa 1800. The mahogany, white oak side table is from Anthony Hays’ shop, Williamsburg, Virginia, 1755–1765. The silver ladle is by William and George Richardson, Richmond, Virginia, circa 1785. The silver beaker is by John Adam Jr., Alexandria, Virginia, circa 1800. The silver cann was made by William Willson and Joseph Toy. Abington, Maryland, circa 1785. The punch bowl is Chinese export, famille rose pattern, circa 1785. 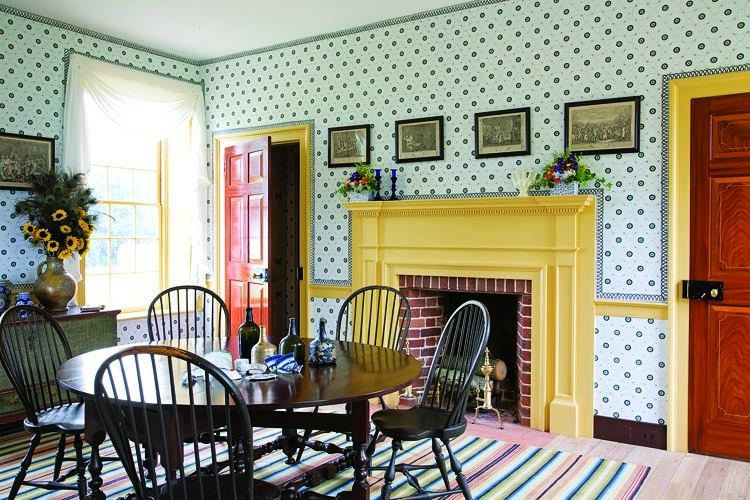 The Schorsches enjoy most meals in this bright and cheerful room enlivened by “Adena Pin Ring” pattern reproduction wallpaper, fixed dimity drapery, and striped “list” carpet. The gate-leg mahogany dining table is Philadelphia, circa 1720. Examples of archaeological material found on the site are displayed on the table for purposes of this photograph. 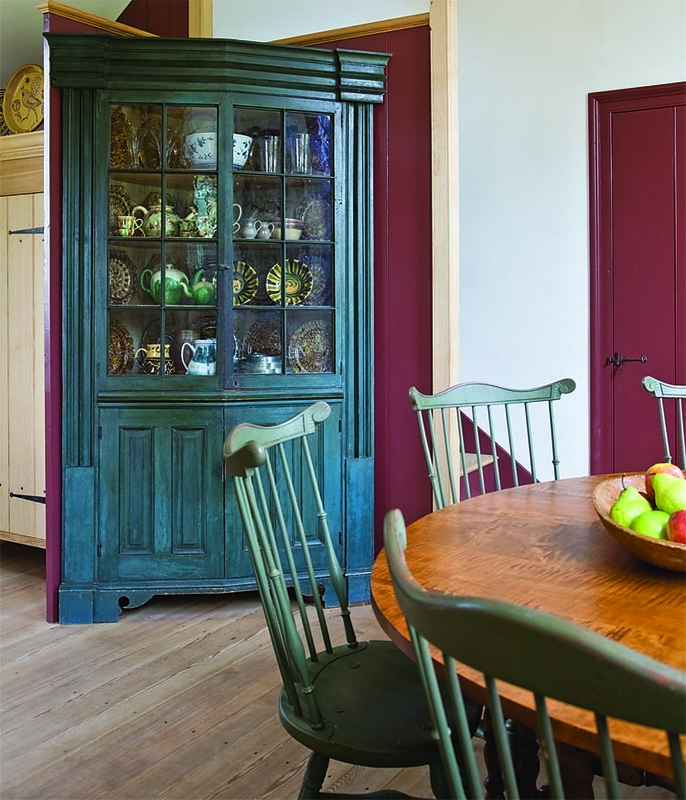 The Schorsch’s architect used the architectural-style moldings of this circa-1830 Eastern Shore corner cupboard as the basis of all the trim and cupboards in the contemporary kitchen. 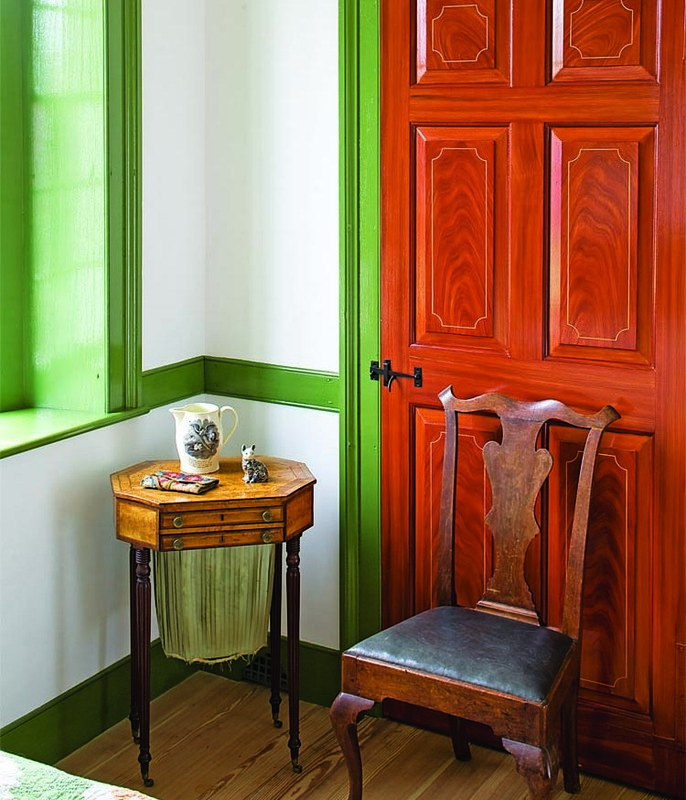 Rich surfaces are a major theme of the décor, with hand-ground pigments and mahogany-grained doors accenting many objects in the collection, such as this mahogany Philadelphia side chair (circa 1765) and satinwood veneered sewing table from Boston, circa 1800. 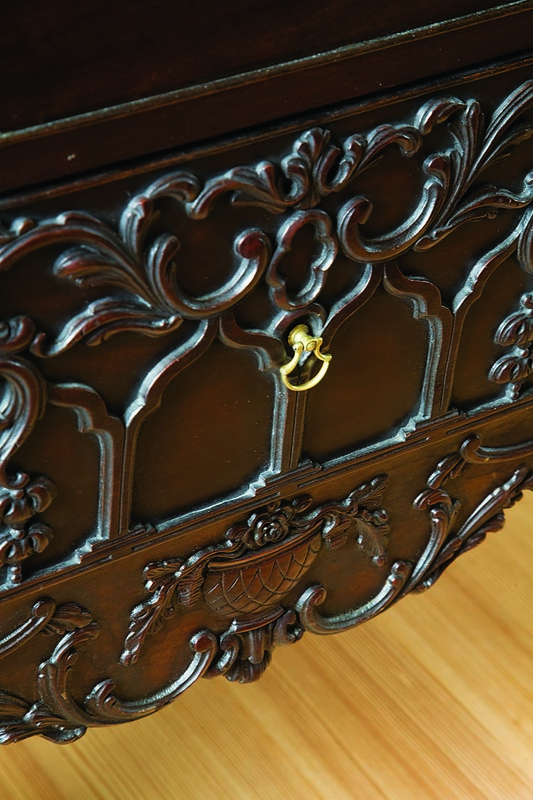 The fine detailing and proportions of this circa-1765 Philadelphia chest-on-chest is a solid representative of the Schorsch’s Chippendale period collection. The finial of John Milton is a period replacement. The circa-1820 Baltimore four-post bed (foreground) has been duplicated with a reproduction to match it on the other side of the room. The vivid grapevines on the original bed frame have been faithfully duplicated, complete with gold leaf decoration. This Philadelphia mahogany linen press, circa 1780, would have held some of the most expensive items in a household. Ann Cocke recorded the family’s extensive linen in an 1809 list she made as the family moved from Mount Pleasant to their new quarters in Fluvanna County. This circa-1770 mahogany, Philadelphia chest-on-chest was originally owned by the wealthy colonial Loockerman family of Dover, Delaware. It is attributed to Thomas Affleck (1745–1795) with carving by Hercules Courtenay (1744–1784). The swan neck pediment with carved leaf volutes, original cartouche of carved leaves and flowers, arising from a lozenge shaped, pierced fretwork frieze, represents the finest Chippendale period carving. 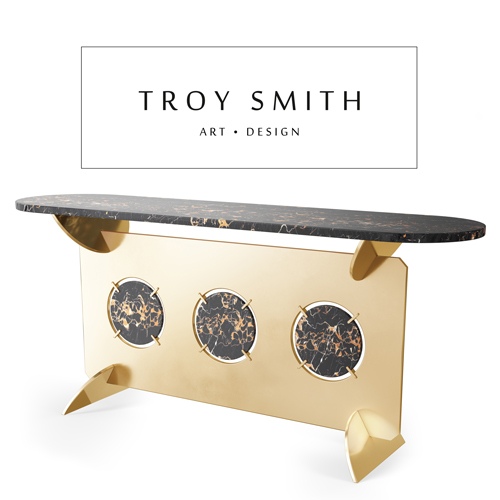 All the elements, including the fire-gilt drawer pulls, escutcheons and locks are original. The circa 1820 silk embroidery in its original gilt-wood and gesso acorn frame is titled, Lady Elizabeth Gray Petitioning King Edward IV for the Restoration of Her Husband’s Lands. 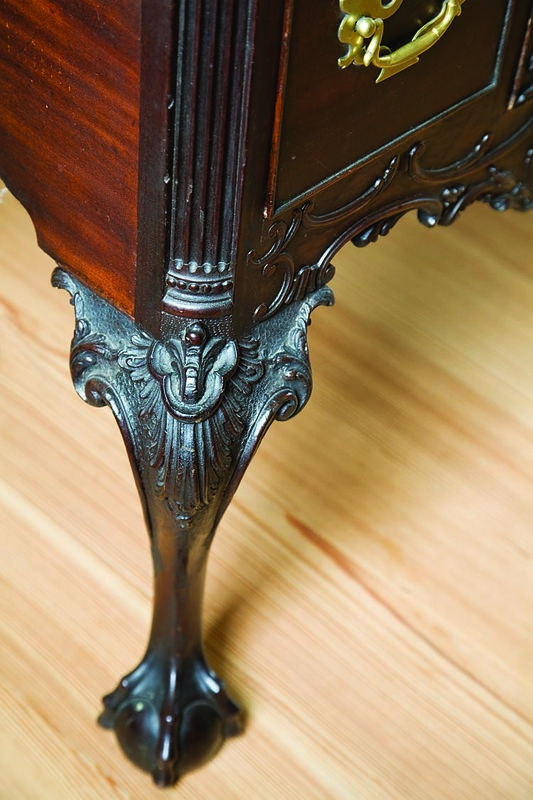 The Philadelphia circa-1770 mahogany dressing table has carving attributed to Hercules Courtenay (1744–1784). On the circa-1790 London giltwood mirror, delicate swags of vines and flowers on a central acanthus leaf base create a light and airy appearance. 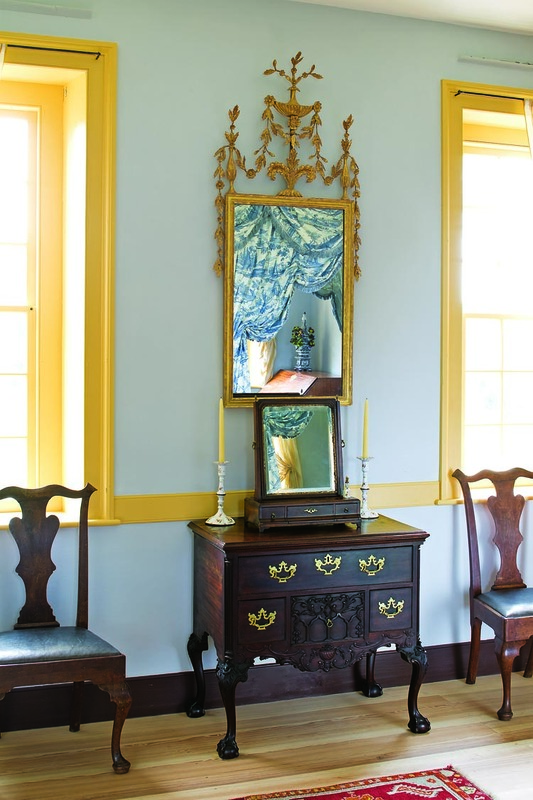 The pair of mahogany side chairs flanking the dressing table were probably made in Philadelphia, circa 1765. The center drawer carving of gothic arches, quatrefoil and leaf streamers, flowers, leaves, and an urn decorate the dressing table skirt. 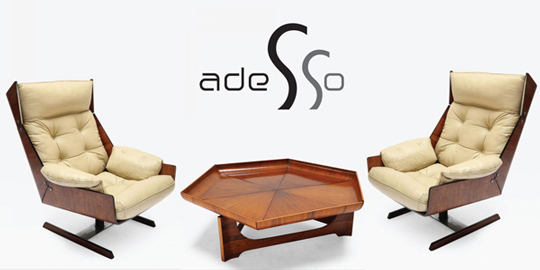 The cabriole legs, claw-and-ball feet, as well as trefoil carving on the knees and blocks on this Courtenay piece are especially deep and vivid. 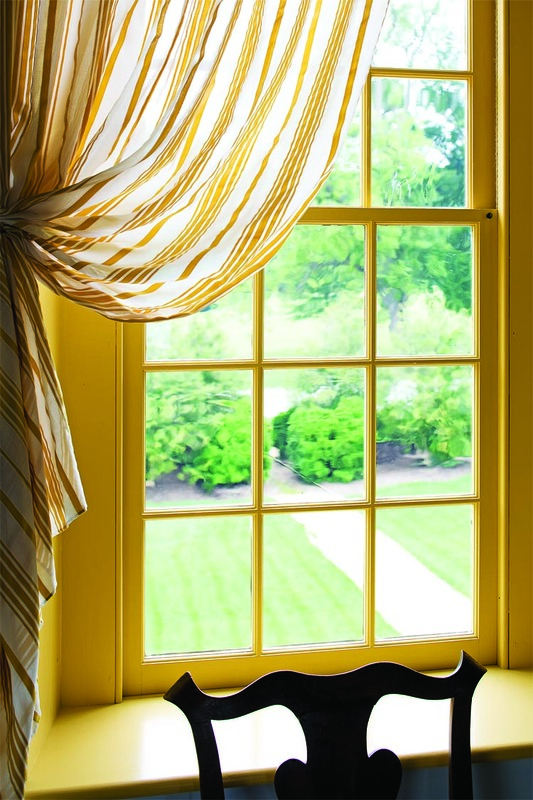 A view to the front of the house is framed by seersucker window curtains of silk and cotton stripe, which have historic precedence. 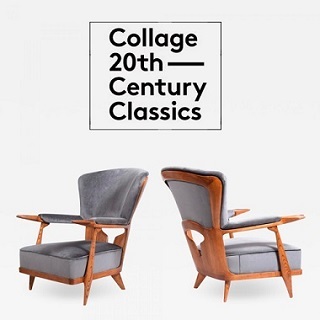 The furnishing scheme of the house is the result of a blend of documentary sources: the 1791 Mount Pleasant inventory of John H. Cocke II’s father; references in Ann Cocke’s many lists of ceramics and linens; and even a 1926 auction catalogue of old Cocke family pieces. Original Cocke chairs made by James Woodward in 1803, indicate Norfolk, Virginia, as the likely style center for the Cocke period. 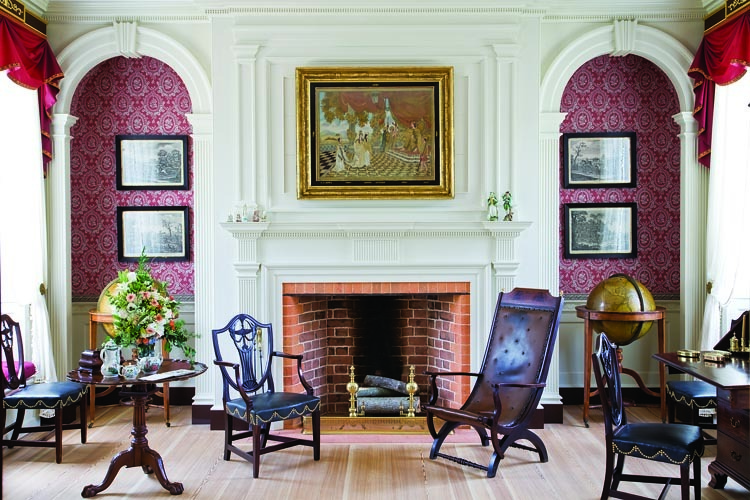 Charles Hummel (curator emeritus and retired senior deputy director, Winterthur Museum and Gardens) was instrumental in analyzing and guiding collection acquisition, while Ronald Hurst, vice president of collections at the Colonial Williamsburg Foundation, advised on Virginia furnishing plans. Decorative art objects throughout the house are from Virginia, Maryland, and Philadelphia. Interior decorative treatments were chosen with guidance from experts such as Margaret Pritchard, curator of prints, maps and wallpaper, of the Colonial Williamsburg Foundation; Susan Buck, for wallpaper and paint colors; and Natalie Larson, for textile reproductions. 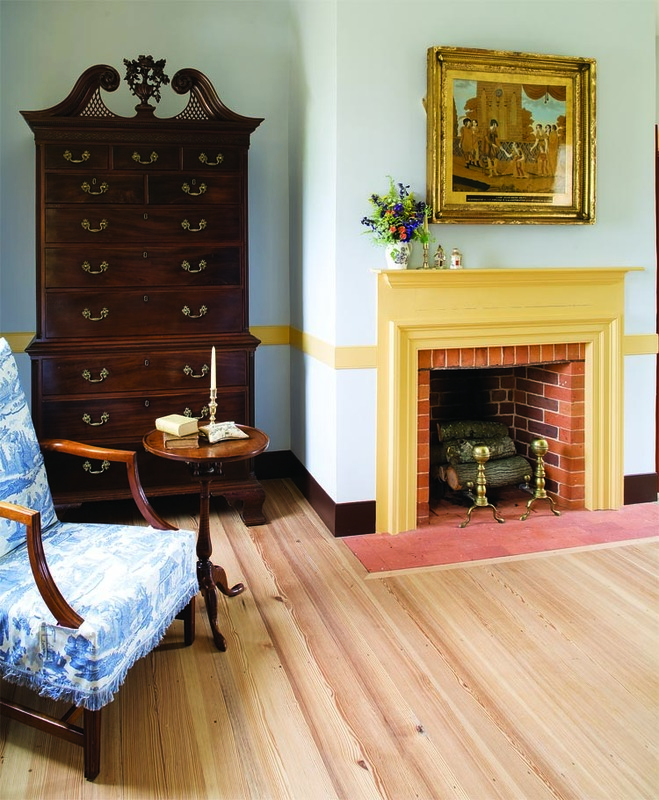 Curator of architecture, Willie Graham, of the Colonial Williamsburg Foundation, was the guiding force in determining correct period building design and fabric throughout the project. The stunning parlor to the left of the entrance received the full early-nineteenth-century treatment. It includes a paneled chimney breast flanked by open-arched niches, wainscoting, a carved chair board and cornice, and paneled window seats. The form of these features was made evident by ghosts on the brick walls, revealed after later layers were stripped away. Examples of other Southside Virginia houses of this period were used to flesh out the details of these moldings, including those in the Petersburg Room at The Metropolitan Museum of Art, and Strawberry Hill, in Petersburg. Across the stair passage is the formal dining room, which could be called the Virginia room since its furnishings are predominantly from the Old Dominion. 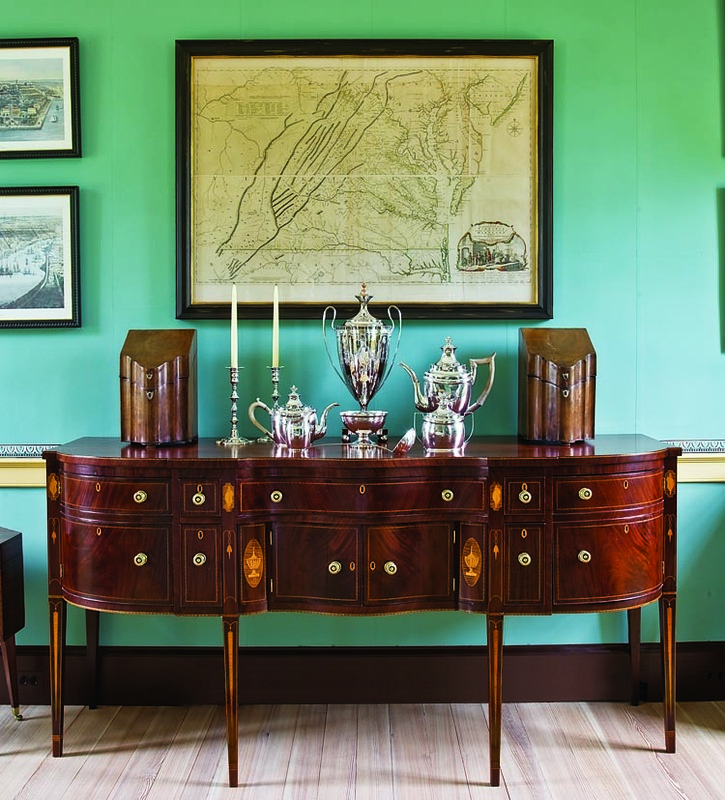 The neoclassical Virginia sideboard and corner cupboards, as well as the cellaret made by John Shearer, dominate the room. The English knife boxes on the sideboard were traced through the Cocke family, and are a recent purchase. Many fine pieces of Staffordshire in the corner cupboard are indicative of Shelley’s love of ceramics as well as references in Cocke family accounts. This early water cistern, dating to the period of John Cocke II, was unearthed during archaeological excavations for the new kitchen wing. Rather than demolishing this seemingly intrusive feature, which would come naturally to most homeowners, it was incorporated into the cellar and used as a backdrop for wine racks. The decorative treatments of the windows and walls indicate the Cockes’ fashion consciousness. 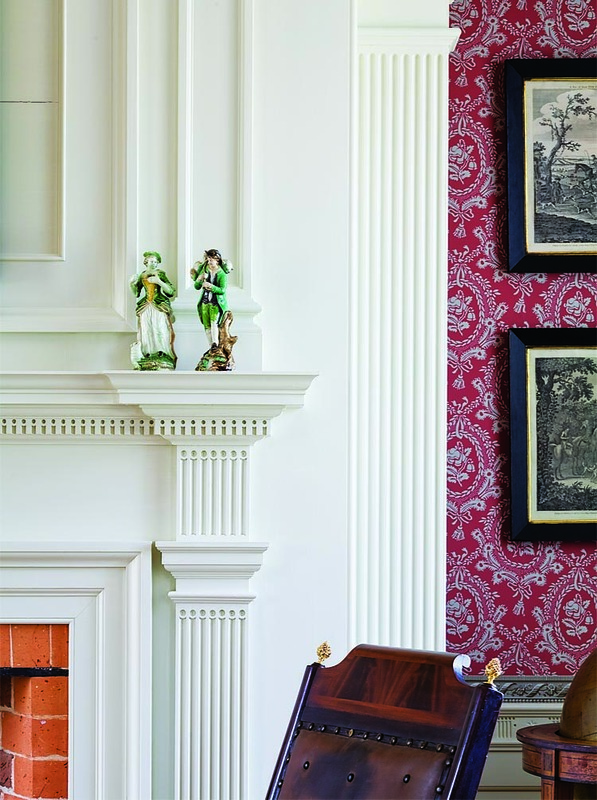 Eight window cornices were listed in the Lever accounts and these were reproduced and modeled after those of Sir Peyton Skipwith’s house, Prestwould, in Mecklenburg County, Virginia; and curtains were referenced from those of Jefferson, Washington, and the Skipwith family homes. 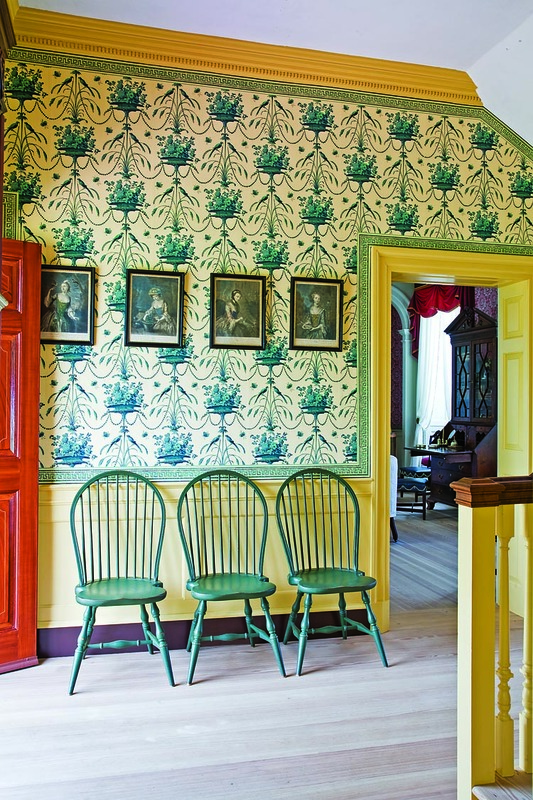 The solid-color wallpaper with borders, was very popular for dining rooms of this period. Beyond the main block is a secondary passage, called the “little passage,” which was originally intended to separate the public functions of the main house from the more private first-floor bedroom chamber in the wing. The Schorsches now use this chamber as a family dining room. “Alive as it was in the Cocke’s time,” Shelley quips. 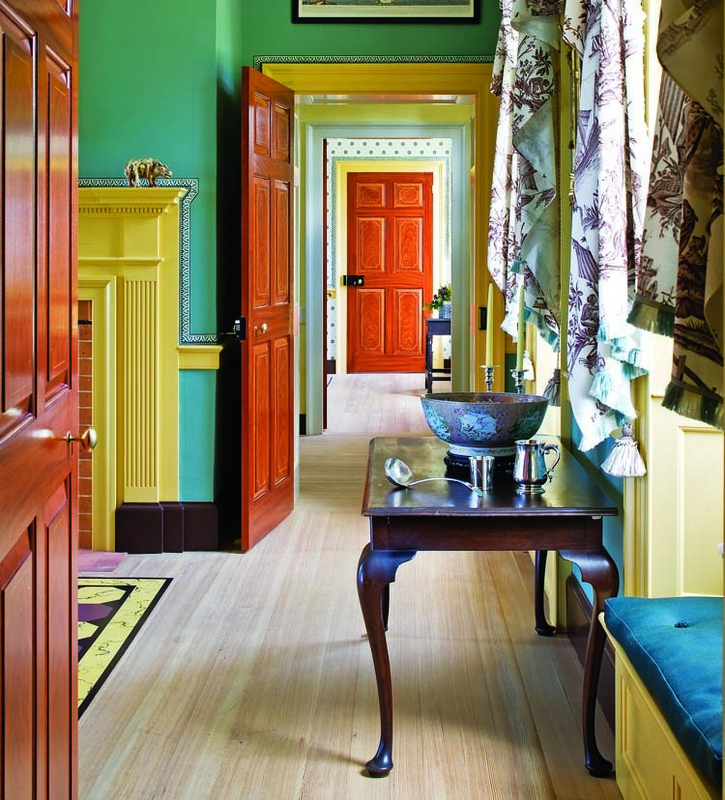 The main stair passage between the parlor and dining room is wainscoted and a finely molded handrail leads to a generous landing, where an imposing circa 1780 Philadelphia linen press stands. 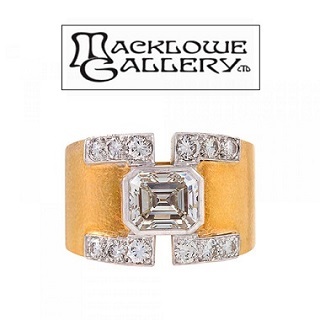 Although it is a museum quality piece complete with carved pediment, it is stocked with the family’s everyday linen. 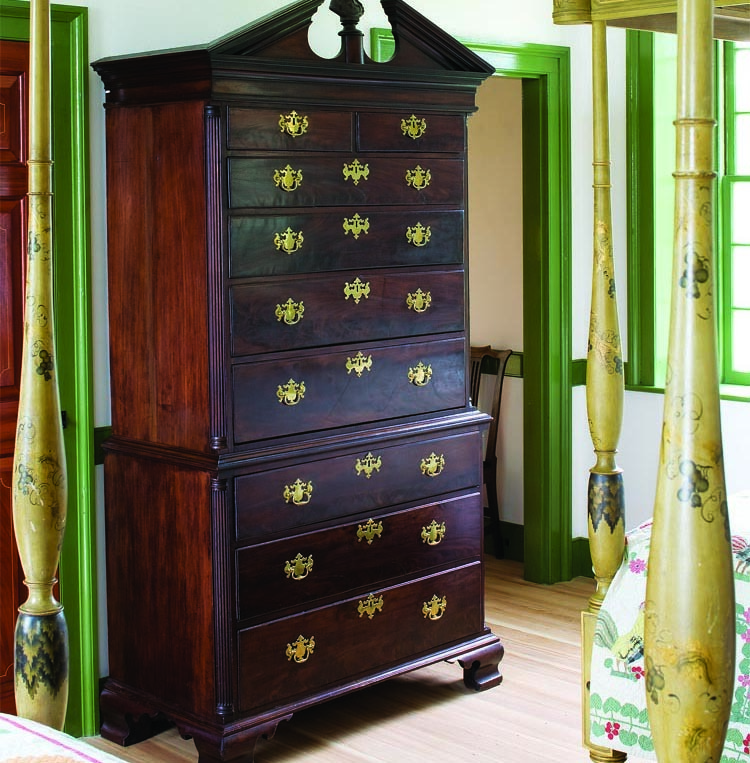 The same goes for the many Chippendale period chests of drawers throughout the house. 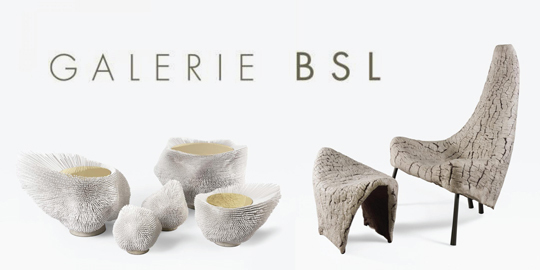 “There’s not much sense to it, no matter how artistic, if furniture is not usable, is it?” Shelley notes. Nick and Shelley claimed the dining room chamber as their own. Among the furnishings is a Thomas Affleck-attributed (and Hercules Courtenay carved) circa-1770 chest-on-chest. The dressing table across the room also has carving attributed to Courtenay. A fully dressed four-post bed, with curtains manipulated with a period pulley system, was reproduced from one at Prestwould, the original of which was built by Petersburg cabinetmaker Samuel White. In order to restore the landscape, the Schorches relocated the early twentieth- century guest cottage from the front yard of the mansion house slightly to the west overlooking the James River. Once removed, archaeological investigation revealed a kitchen dating to John H. Cocke's period and an earlier storehouse below. A footprint for slave quarters was uncovered next to where the guest house was moved. Across the stair passage are two chambers. In the parlor chamber is an early Baltimore four-post bed with gold-leaf vines, grape clusters, and a Poseidon, complete with his trident. This bed and its paint scheme have been replicated in order to have a matching pair. 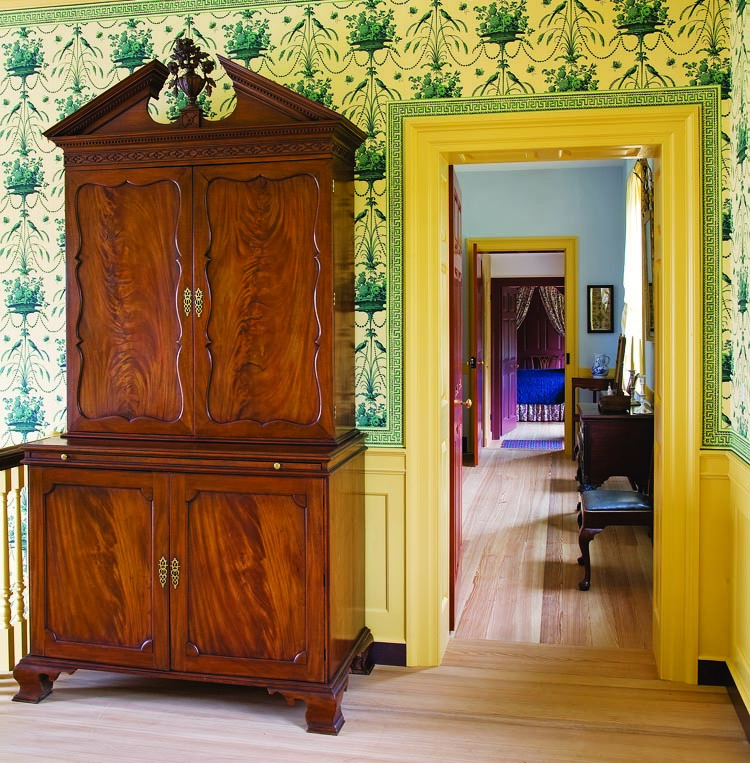 All of the children’s rooms are period and have accompanying Chippendale period chests of drawers and the walls are hung with pieces from Shelley’s American sampler and children’s painting collections. Though a window to the past, the estate easily bears the stamp of the Schorsch family’s contemporary interests, including a photography dark room, music studio, and water vehicles docked at the boat house. Family dogs mill around the grounds. 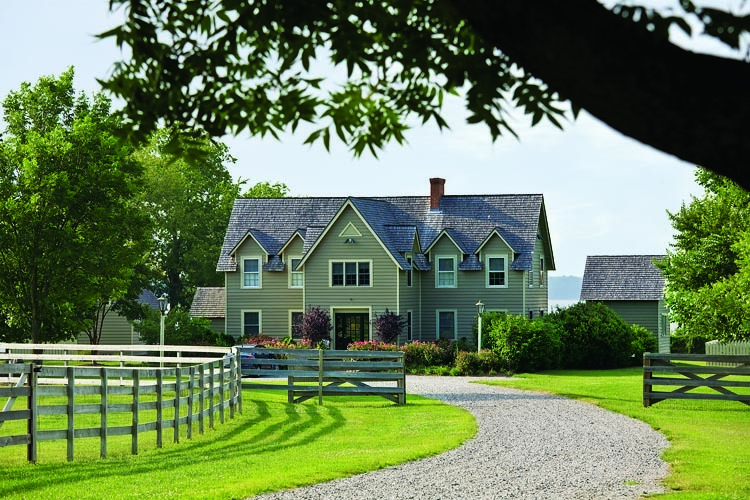 Riding and carriage horses and rescue animals of all types occupy the pastures and barn yards, sharing the landscape with heritage breeds of Leicester and Hog Island sheep. 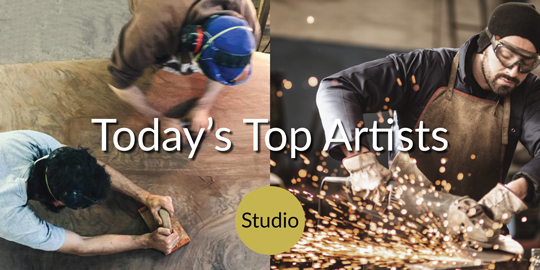 Nick’s collection of sports and muscle cars is discretely hidden in a garage away from the house, and Shelley’s artist studio has a meditative view of the water. Steven M. Pulinka is curator of the Mount Pleasant Foundation and the Nicholas and Shelley Schorsch Collection, and acts as liaison for their various restoration projects. 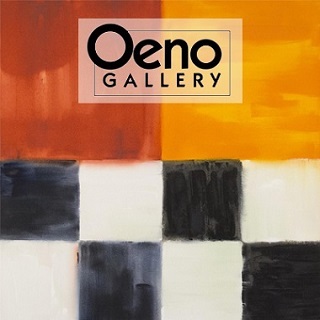 He was curator and director of Historic Houses of Odessa, Delaware, a division of Winterthur Museum and Gardens for over twenty years.